JCAP is a partnership of scientists with outstanding research expertise and synergistic capabilities to successfully fulfill JCAP's mission and goals. JCAP is organized to successfully enable integration of scientific efforts across its sites and research areas. The Director of JCAP is a lead Principal Investigator responsible for all aspects of the Hub's program. JCAP has two Deputy Directors who are responsible for program management, strategic planning, budget, communications, and representation of the program to external communities. 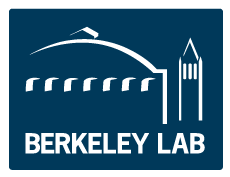 Positioned at Caltech and LBNL, they have additional management and operational responsibilities at their respective sites to ensure efficient operation of the Hub. JCAP also has an experienced Operation and Administration team that supports day-to-day work of JCAP. JCAP's Governance Board provides oversight of the program, while the Director's Advisory Committee and PI Council advise the Director on its scope of research and scientific strategies. External Scientific and Strategic Advisory Boards provide the Hub with a broad perspective on JCAP's R&D program accomplishments, direction, and strategy. JCAP's research program is organized into four Thrusts and a User Facilities Expert Group. Each Thrust is headed by a Thrust Coordinator, who is tasked with integrating research efforts within its the Thrust. The User Facilities Expert Group Coordinator communicates and educates JCAP scientists about the available capabilities at user facilities and their potential applications to JCAP research.